The PPP well calibration module opens under the View tab of the Insight Control Panel. The 1D well calibration workflow (and the bulk of this chapter) follows the sequence of the PPP module tabs. 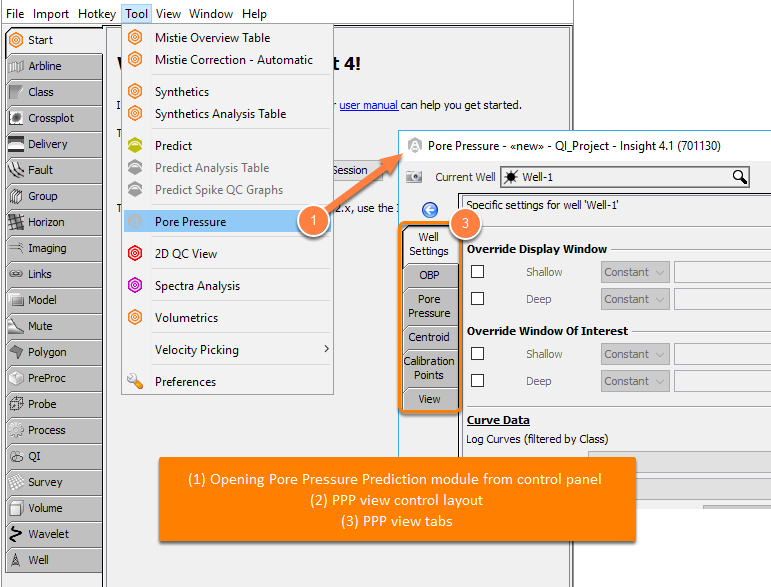 The PPP view has tabs for settings and parameters, with a selection of display tracks.